The June 13 NBCC networking event attracted a full house. 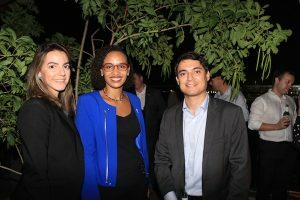 The event took place at the restaurant Xian at the rooftop of the Bossa Nova Mall in downtown, with a marvelous view at the Rio de Janeiro skyline. Several new members have joined the chamber lately and many of them were represented at the happy hour. The private-owned Porto de Açu, in São Joao da Barra, has been in operation since 2014. The port has nine different terminals, divided into offshore and onshore areas. In NBCC, Port of Açu hopes to gain exposure, participate in networking events and workshops on hot topics. «As part of our marketing strategy we conducted an analysis of which entities and companies it would make sense to have a closer relationship with, and we identified NBCC as one of these entities. This year we will also be participating at the Rio Oil and Gas Expo and possibly also ONS. Many of the associates of NBCC operate in sectors relevant to us, mainly within oil and gas», Joyce Mercês, Strategic Partnerships of Port of Açu says. The Port of Açu is located close to the Campos Basin, and the oil and gas industry is obviously a priority. Gabriel Quintans from IKM with Luiz Felipe Bretas Rozo and Joyce Mercês from Port of Açu. «Norwegian players often stand out in fields of research, development and new technologies, and in NBCC we will be able to get to know many of the Norwegian companies among the associates», O&G Business Developer Luiz Felipe Bretas Rozo says. Barbosa Mussnich Aragão Advogados is a full service law firm founded in 1995, with offices in Rio de Janeiro, São Paulo and Brasilia. BMA lawyers are actively participating in the NBCC legal committee in São Paulo and have also participated in other NBCC events since joining the chamber. «The oil and gas sector is a strategic area to us in BMA, and we already have Norwegian clients. Norwegian investors are looking to Brazil with attention, and it is important for us to maintain a close relationship with Norwegian players», says Patricia Oliveira Ferrari Sabino. «NBCC stand out as an important arena for networking and we would like to be a part of this and make our contribution as well», says Márcio Pereira. Aidin R. Sarabi and his colleague Victor Barbosa. Safelink supplies passive heave and dynamic load compensation solutions, used in the installation of subsea and marine equipment. Due to the ultra deep waters offshore Brazil, there is a high demand of this technology in the Brazilian market. 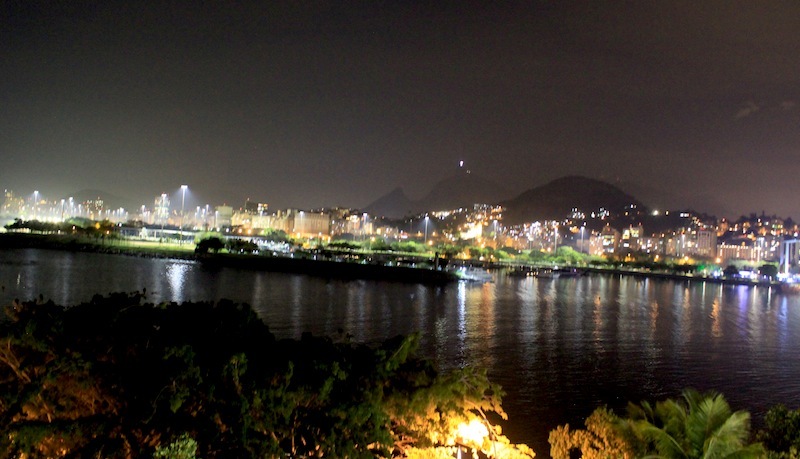 Safelink has signed contracts with several installation companies in the Brazilian offshore market. Aidin R. Sarabi is the Director of operations in South America. Safelink established an office in Brazil in the end of 2016. «We have a very good position in the market. What our product delivers, is adding to the safety of the operation and also widening the weather window of the installation which leads to saving money for the clients. So the crisis in the oil and gas industry was in a way good for us, because everybody had to think about cutting cost. We are very optimistic looking forward. In spite of the crisis we have had two very good years.», Mr. Sarabi says. He speaks highly of the activity level in NBCC. «Since we joined six months ago we have participated in several good events, and we are very happy to be a member of the chamber», he says. The event was sponsored by associate Brunel, a company specialized in contracting, outsourcing and recruitment services for the energy industry. 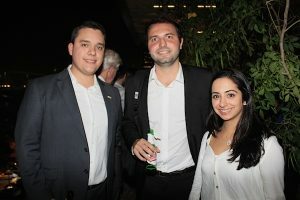 Tiago Chaves is the country manager of Brunel, and believes that networking events like the June 13 lounge are of great importance. Tiago Chaves and colleagues from Brunel. «We deal with complex projects, high demands and tight deadlines all the time. Our schedule is always full and usually have a high volume of work. 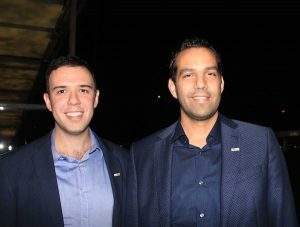 It is fundamental for all of us to take these timeouts, but in an informal setting where you meet company representatives, business partners and others», he says. «We recently became members of the chambers, our expertise is focused on the energy industry, which includes the oil and gas sector, a market where many Norwegian companies are currently present. So for Brunel it makes a lot of sense to be a member of NBCC and it has been a great experience for us so far. NBCC unites companies, decision makers of the O&G industry, we expect our partnership with NBCC and other members to grow and become stronger», Mr. Chaves said. 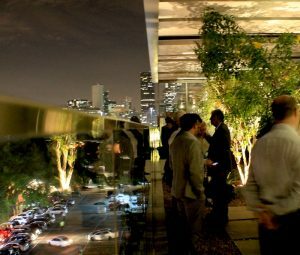 The next NBCC Lounge Networking is scheduled for August in São Paulo.